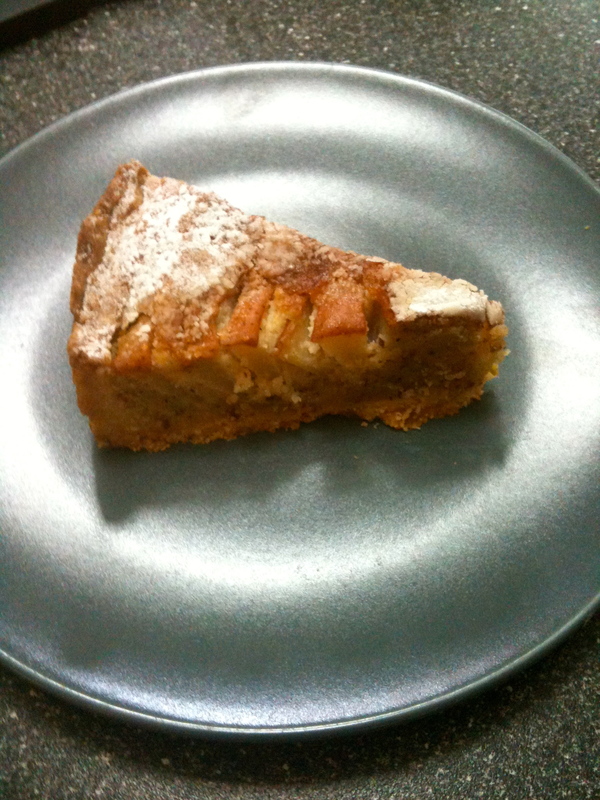 My favorite recipe from “Das Buch vom Backen – Die Grosse Schule” is listed below – it is a pear and almond tart. Combine the flour and the butter, by rubbing in the butter into the flour, until it appears crumbly. After 30 minutes, place the dough between two plastic pieces of glad wrap and roll the dough out into a circle big enough to fit into a 24cm (~12 in. ) spring form cake tin. Place dough in the tin, with baking paper covering the dough and weighed down with a pie weight. Place in the oven at 180 degrees C (350 degrees F). Bake blind (i.e. covered) for 10 minutes, then take off the paper and pie weight bake for 10 more minutes. Allow the pastry to cool. Cream the butter and the sugar in a bowl for approximately 30 seconds. Place the filling mixture into the pastry. In a cross formation, place the pears into the filling; largest slices (outside edge) to smallest slices (towards the center). Place the tart into the oven and bake at 180 degrees C (350 degrees F) for 50 minutes. You need to ensure that the center is cooked. Take of the spring form cake tin, and allow the tart to cool for two hours. To serve, sprinkle confectionary sugar (powdered sugar/icing sugar) on top; and serve. The tart goes great with a dollop of whip cream. 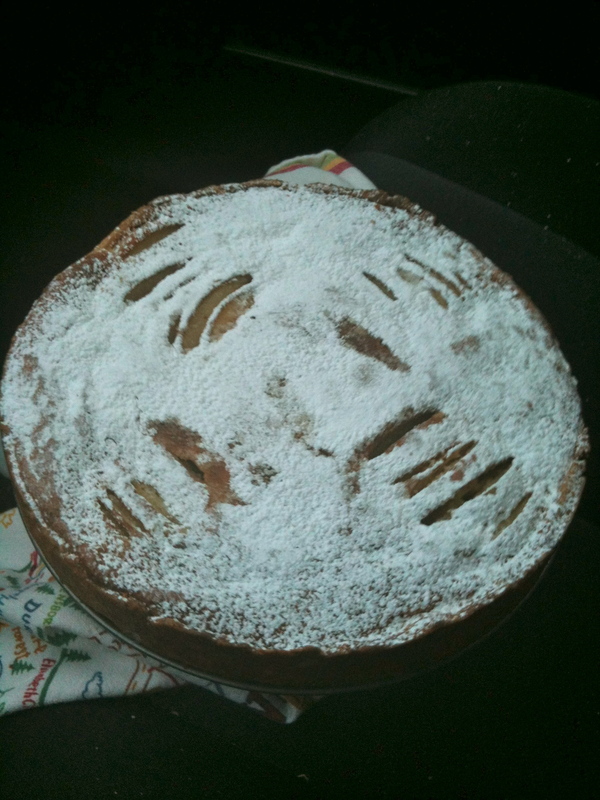 This entry was posted in Uncategorized and tagged almond flour, almond pear tart, baking, breakfast, cake, Cooking, dessert, desserts, food, german sweets, pear, pear tart, pears, recipes, ripe pears, sweets on November 21, 2012 by mlwilkie. ooooh that looks good! Pleased to have you link up to Tuesday at the Table!